If you've lost a spouse, child, family member, or friend, you've discovered that few people understand the deep hurt you feel. Where do you turn for daily comfort and help? Where do you find the tools to move forward? 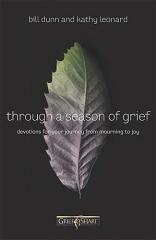 Through a Season of Grief is a 365-day devotional designed to support and uplift you in the first, most difficult year of bereavement.